Applications are now open for BBC Radio 3’s pan-industry conference, Diversity and Inclusion in Composition, which aims to facilitate greater inclusion in classical music composition of composers and prospective composers from the UK’s black, Asian and minority ethnic (BAME) communities. The one-day event will take place on Wednesday 19th October at the Royal Northern College of Music in Manchester and is hosted in partnership with BASCA, the BBC Philharmonic and the Royal Northern College of Music, and in association with the BBC Black and Asian Forum. The conference will explore how the future development and excellence of classical music needs to be enriched by full engagement with the widest possible range of artistic and cultural perspectives. The event will discuss how to boost opportunities for the next generation of composers, and with BAME composers under-represented in classical music, the conference will give a special focus to how the industry can work better together to ensure inclusion and diversity of talent. Guest speakers at the event include composers Daniel Kidane; Jeffrey Mumford; Priti Paintal; Shirley J. Thompson; Errolyn Wallen; and Raymond Yiu; as well as BBC Radio 3 Controller, Alan Davey; the BBC’s Head of Diversity, Inclusion and Succession, Tunde Ogungbesan; BASCA CEO, Vick Bain; Michelle Castelletti, Artistic Director at the Royal Northern College of Music; Sound And Music Chief Executive, Susanna Eastburn; The Chineke! 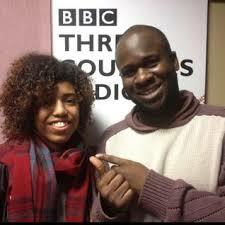 Foundation founder, Chi-chi Nwanoku; and Toks Dada, Programme Coordinator at Town Hall, Symphony Hall, Birmingham. A broad spectrum of people involved in classical music-making can now register their interest in attending the conference – from composers, publishers, festival directors, educators and venue managers to orchestral, chamber and operatic managers, funders, commissioners and industry bodies. Music students and young people with an interest in composition are also encouraged to apply to attend to help reshape the future of the UK’s classical music landscape. Please visit www.bbc.co.uk/showsandtours/shows/diversity_in_composition_19oct16 to indicate your interest in receiving a delegate pack and registration form, which will be issued from August 19, 2016. After the Diversity and Inclusion in Composition conference sessions end, a special edition of In Tune presented by Suzy Klein will broadcast live from the event (4.30-6.30pm). Members of the public will be able to attend this broadcast and tickets will be available in September via the In Tune website. The programme will include talks from the day’s speakers and live music from the BBC Philharmonic, which will play a cross-section of pieces from different periods in musical history by BAME composers. The programme will also feature performances from students of the Royal Northern College of Music and members of the Chineke! Orchestra – Britain's first professional orchestra of black and ethnic minority musicians. The conference will be reflected in further BBC Radio 3 programming across the week. From Monday 17th to Friday 21st October, both Breakfast (6.30-9am) and Essential Classics (9-12am) will feature the music of composers from black, Asian and other minority ethnic communities with the former concentrating on British composers and the latter taking an international historic view, while Composer of the Week (Monday-Friday, 12am-1pm) will explore the life and music of Samuel Coleridge-Taylor (1875-1912) – the composer of works including Hiawatha. On Saturday 22nd October, Music Matters (12.15-1pm) will present a special edition of the programme recorded at the conference, Sound of Cinema (3-4pm) will explore the contribution black composers have made to cinema , while Hear And Now (10-12pm) will have a special focus on contemporary music by BAME composers – both home and abroad. The following day, the Early Music Show (Sunday 23rd October, 2-3pm) will focus on the life and music of the 18th Century Guadeloupe composer, Joseph Bologne, Chevalier de Saint-Georges (1745 - 1799), often referred to as "the black Mozart". Finally, Saturday Classics will bookend the week (Saturday 15th and 22nd October, 1-3pm) with two programmes presented by the singer and composer Roderick Williams. The Diversity and Inclusion in Composition event is part of BBC Radio 3’s special patronage of the arts to mark the 70th anniversary of the BBC’s Third Programme. The Third Programme launched on 29th September 1946 and is the forerunner of BBC Radio 3. As part of the 70th anniversary celebrations, alongside a celebration of the network’s unique history, the station will focus on future directions in classical music composition.